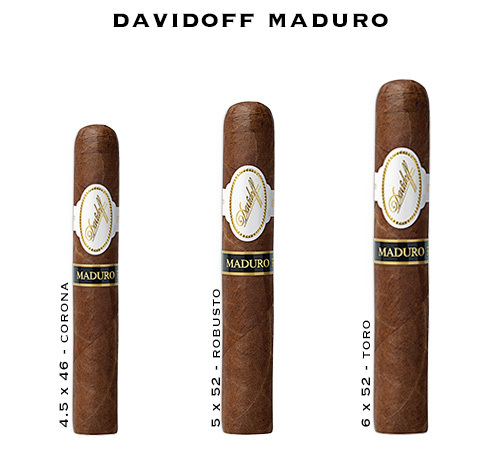 Davidoff Maduro Cigars - Buy Premium Cigars Online From 2 Guys Cigars . Davidoff has finally launched a Maduro Cigar. After years of merchants and loyal customers asking for a Maduro, it's finally here. The wrapper is a Cuban-seed Nicaraguan grown Maduro. The filler and binder are comprised of San Vicente Tobacco and four different types of Domincan-grown filler leaves. The result is a cigar that is well-balanced, smooth and rich in taste and aroma with a nutty finish. It was worth the wait!